Edmund Hull '71, former U.S. ambassador to Yemen and winner of several State Department awards, has been appointed to fill Wilson School's first Diplomat-In-Residence position. The position was created by Wilson School Dean Anne-Marie Slaughter '80. It will be an annual appointment "designed to enhance the [Wilson] School's tradition of excellence in preparing students for diplomatic careers," according to the Wilson School's website. Hull will be expected to teach related courses, meet students in both group and individual settings, present public lectures, and help students with any questions they may have on leadership and career paths. He currently teaches WWS 547: The Conduct of International Diplomacy, a spring 2005 course. "Ambassador Hull exemplifies Princeton's and the [Wilson] School's proud tradition of service, statesmanship and leadership," Slaughter said in a press release. "His remarkable range of experience in the foreign service, particularly in the Middle East, will add tremendous value to the School's curriculum and career training." Hull, who graduated with honors from the Wilson School in 1971, is excited about his return. "It feels great to be back in Princeton," Hull said. "To me, it is a golden opportunity to interact with some of the brightest students in the country. I hope to influence a next generation of diplomats." Hull also hopes to benefit from the University environment. "I'd also like to broaden my own horizons and tap into the wealth of knowledge and experience present in Princeton," he said. "I'd like to know what the smart people here have to say." 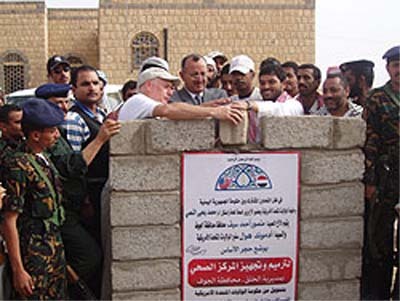 Hull served as U.S. ambassador to Yemen from 2001 to 2004, during the surge in United States-Yemeni cooperation in fighting terrorism. From 1999 to 2001, he served as the State Department's Acting Coordinator for Counterterrorism. Before that, he was the Director for Near Eastern Affairs on the National Security Council. "My value added is real world experience, having been through crisis and negotiations in the Middle East and Washington," Hull said. Hull has received the State Department's Meritorious Honor Award and two Superior Honor Awards. 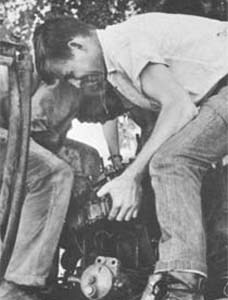 In 2001, Hull was also selected for the George H.W. Bush Award for Counterterrorism from the Central Intelligence Agency.